I don’t know about you, but there are 2 areas in the supermarket that fill me with dread, the ride-on machines our little darlings so love to fill with 50p’s for a 2 minute ‘ride’ and the magazine aisle! T discovered magazines or rather I should say he discovered the plastic tat gifts that are usually gracing the front cover and he’s never looked back, every shopping trip is highly planned to get in and avoid the magazine aisle at all costs! I even can’t escape in Aldi as they have now started selling them, as soon as you walk through the door, yes cheers for that! I try to stick to 1 magazine per month and so far this is working. 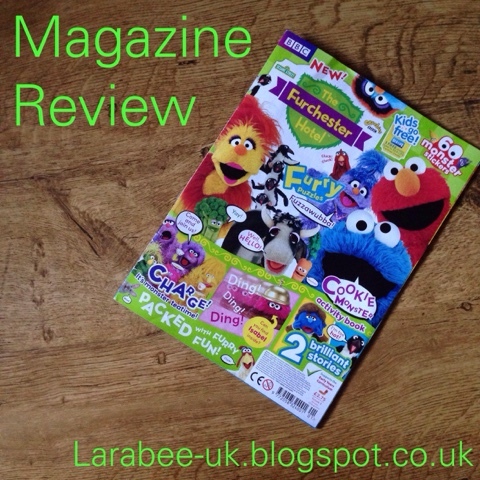 So when I was contacted and asked if I’d like to review a new magazine for Cbeebies as you can imagine, I was pretty eager. As a stroke of luck T’s first magazine was received on the morning we were going away so he was over the moon, not only did he receive ‘post’ but he actually got a magazine to relieve his boredom on the journey, we were both thrilled. 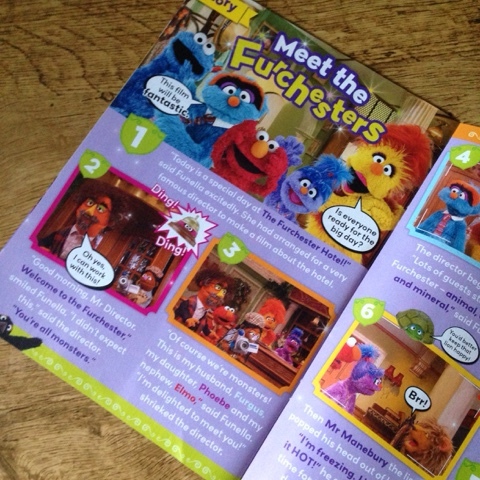 The magazine in question is ‘The Furchester Hotel’ magazine, The Furchester Hotel is a Sesame Street production for the BBC and has the familiar characters of Elmo & Cookie Monster as well as some new characters who own and run the hotel. The show centres on a problem arising and all the hotel staff working together to resolve it. I must admit I really do like the premise and have no qualms in T watching or ‘reading’ the magazine. T liked it from the front page and couldn’t wait for us to return from our trip so he could use this month’s free gift of a ‘make your own portrait’s’ set. 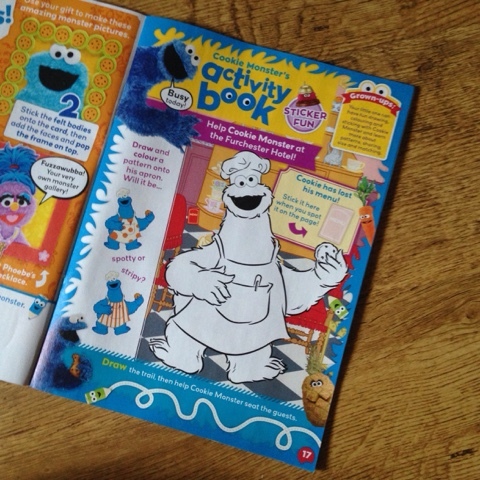 The magazine is highly coloured and contains a couple of story pages, lots of colouring and activities and to T’s delight stickers! It managed to keep him happy for a good hour of our travelling time, happily sticking, colouring and making up stories from the pages he can’t yet read. As a parent I particularly like that there are little notes for grown-ups’ on the pages explaining how you can extend learning or giving further information about what the activities are teaching. 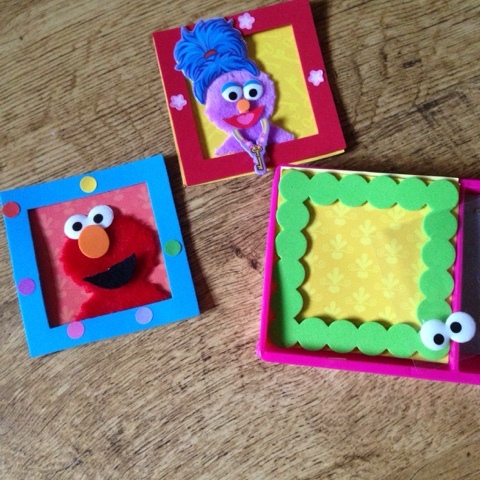 It also supports the Early Years Curriculum. 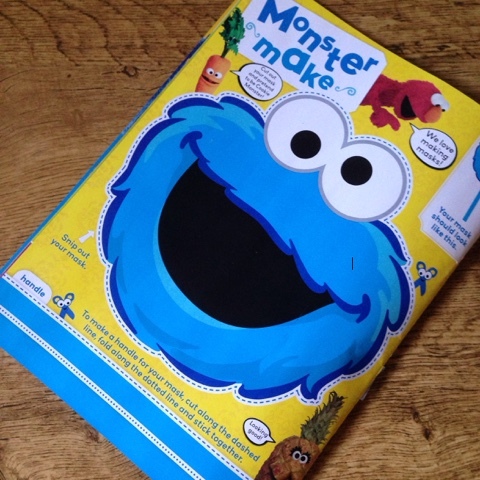 Activities include puzzles, colouring, using stickers in learning and cutting, T is particularly keen on making the Cookie Monster mask! 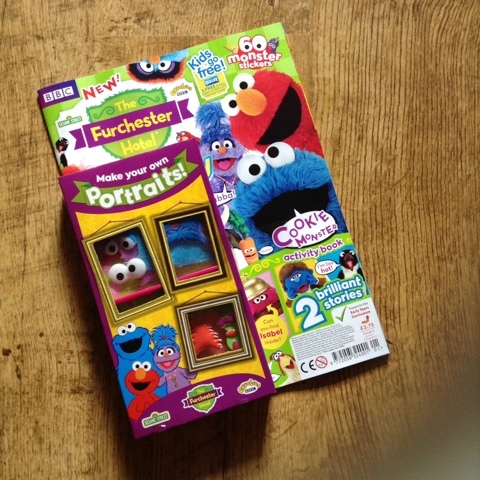 The Make your own portraits set is really good, containing lots of craft items for you to either copy the ones shown in the magazine (like we did) or you can make your own. Here’s a little peak at next month’s free gifts in case the free gifts entice you!!!! 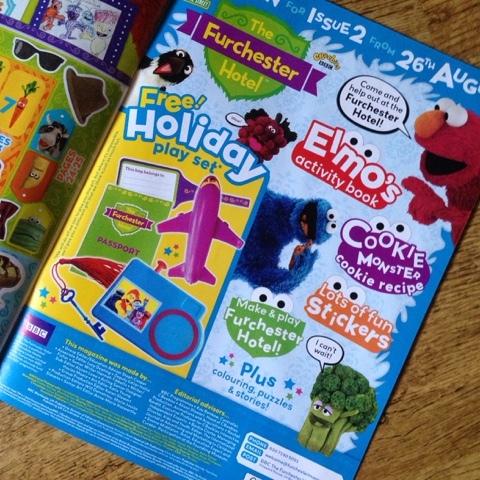 The Furchester Hotel magazine launches TODAY! It is aimed at 3-6 year olds with the core age being 4 and is priced at £2.75 which I think is a really good price and I’d happily pay that once a month.